Interested? Well, we’ve done the research for you. 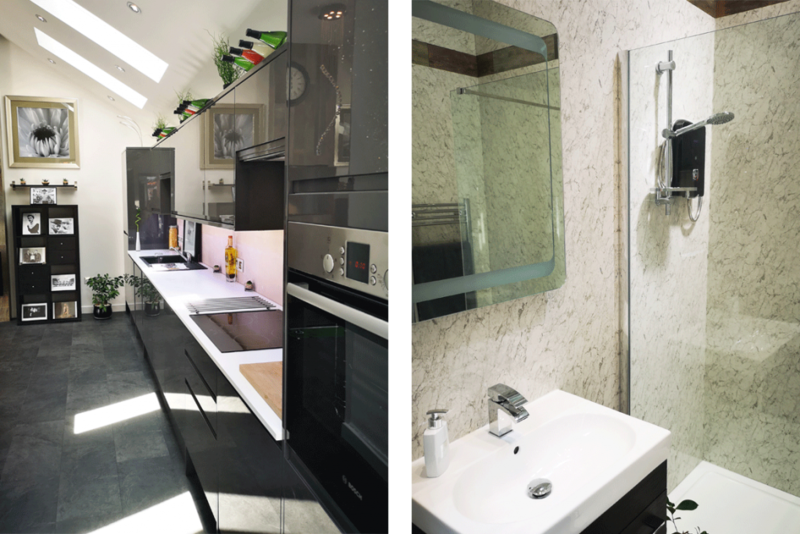 We spoke with home renovation experts Thermaspec, specifically owner Martyn, and the client Keith, on the site of one of their previous projects, to find out more about the benefits of garage conversions. Over the last four years Thermaspec have built a reputation for a superior level of work, helping homeowners across Dorset, Hampshire and Wiltshire “add space and value”— as their motto dictates — to their properties. One of their specialties is conversions and extensions, which come in many shapes and forms. 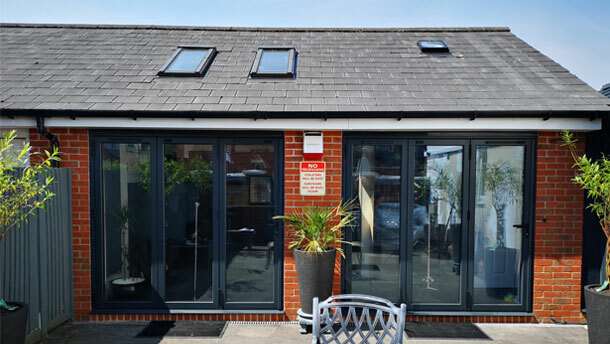 Single and double storey extensions, loft conversions and external luxury garden rooms, but their most prevailing build are their signature garage conversions, and that’s exactly what we’re going to look at in this article. We had the house valued, after the extension and the agent estimated a fifty to seventy thousand pound increase in the value of our property. Q: What was the brief? Martyn: After the initial telephone enquiry from Keith we arranged to meet on site (his home) and get to know what him and his family really wanted out of gaining that extra space. From that conversation, we established that it was going to be used as additional living space, complete with a small kitchen, en-suite bedroom and lounge area. We took our notes back to the team and returned with designs from our in-house architectural designer, who had created a plan that was not only aesthetically pleasing, but also logistically sound. Keith: We wanted to incorporate some interesting design features like the double height, vaulted ceiling, bi-folding doors, a kitchen with marble work tops, a wet room…really everything (and some) that someone would need to stay in their own self-contained unit. Something that could add extra space, but also potentially provide a second income if we ever decided to rent it out. Why a garage conversion over another extension? 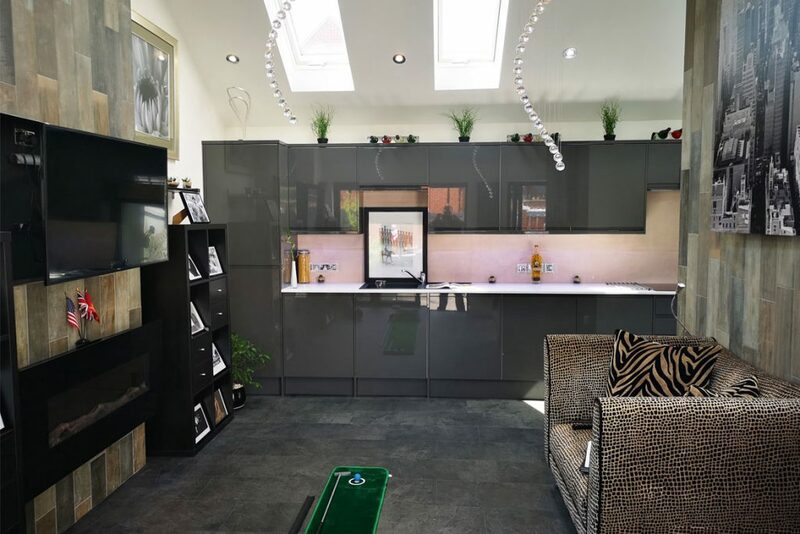 Martyn: We can do all kinds of additional living spaces, through all kinds of extensions and outbuildings, but in this scenario, a garage conversion was the best and most efficient way to create the extra space the client wanted. During our first visit, we will assess all of the add space options and advise on the pros and cons of each. A lot of builders won’t touch garage conversions because the regulations are slightly different, but with our team of expert conversion specialists on board we know exactly what we can and cannot do from the outset. Generally speaking, they can normally be done under permitted development, but if for some reason the build does require planning, we can handle all of that as part of our design process. Keith: We went back and forth plenty of times with their design and project management guys, getting every little detail right. Once we decided on 90% of the design, we were able to adapt it with the architect in 3D-design. Seeing it come to life like that made it all feel so real, and even before they’d got the contract, we were given an itemised account of every single cost that would be involved. Then, once we’d given the green light it was go from there. What has this added to your home? Keith: We now have this little self-contained unit for guests and family to stay. It’s wonderful when the boys come home, because they have somewhere all of their own to chill and watch films. And it also presents us with the opportunity to potentially make an income in the future, if we do decide to ever rent it out. It has also added physical, monetary value. We had the house valued after the extension and the agent estimated a fifty to seventy thousand pound increase in the value of our property, which is well worth the money we paid to have the work done. Keith: The whole thing has been so easy. These guys made every piece of the project so breezy, and nothing was ever out of their capabilities. The attention to detail has been second to none, and that’s to be said for everyone in the team. Half way through the project we decided we wanted to add a front door to the main house, as well as the bi-folding doors, and we couldn’t find a builder to do it. But the guys at Thermaspec stepped in and did it themselves — and to a great standard, I might add. This is just a glimpse into the multitude of options Thermaspec can create. Over a friendly, no-obligations chat their team of designers can create a luxury extension, conversion or garden room to suit your style, needs and budget.